The first thing you need to consider is that it might not be a leak. Water heaters tend to produce condensation on the tank, so check the tank for any moisture first. If you find moisture, that could be the cause of the pool of water on the floor. If not, you will have to investigate further. The next thing you need to consider is that you may have a leak somewhere else. Water heaters are usually surrounded by other plumbing fixtures and pipes, so one of those elements may be leaking. If there are not any leaks around your pipes and fixtures, then the water heater is the likely cause. Following an initial inspection, you need to shut off the power to your water heater. If you have an electric water heater, locate your circuit breaker panel and turn off the switch for the water heater. If you have a gas water heater, locate the dial on the floor and turn it to either “pilot” or “off”. If you have a serious leak, the next step is to shut off the cold water supply. The cold water supply shut-off valve is usually located above the water heater. You may also find a gate valve that you will need to turn clockwise to close. Be careful about any water because it can get very hot and it will cause serious burns. If you cannot locate the shut-off valve safely, you will need to turn off the main shut-off valve to your house’s water supply. Check the pipes on your water tank to make sure that everything is connected before checking the pressure release valve, which is located on the side of the tank. This valve is designed to let out water if there is too much pressure or if the water is heated too much. If water is leaking from the pressure release valve, then there is too much pressure in the tank. This is something to be concerned about. Whether you have found the source of the leak or not, get a reputable water damage restoration company in Oakmont, such as SERVPRO, on board. We are water removal and cleanup specialists and are ready to service your Santa Rosa home when flooding or water leaks cause water damage. We quickly dry your property using state-of-the-art water removal equipment and advanced drying techniques, documenting the drying process to make sure your property is dry and the job is done right. Contact us today. Damage to a home after a leak in the upstairs went unnoticed and neglected. 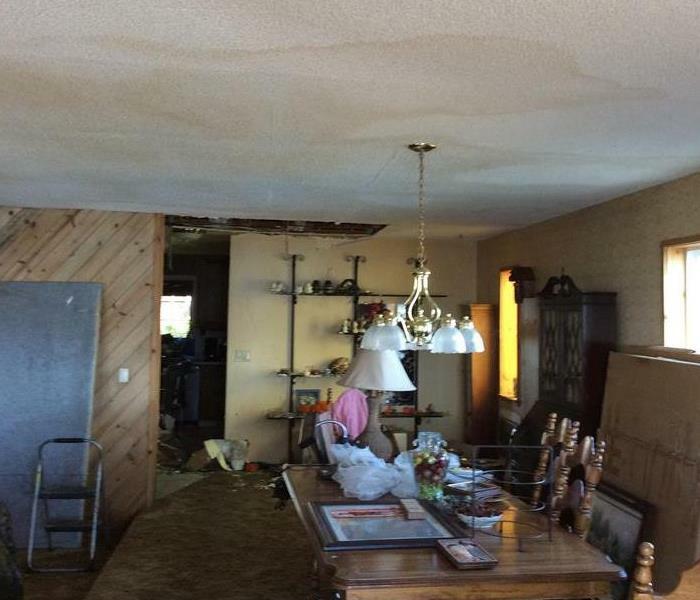 Water damage can cause serious harm to you and your loved one's home. SERVPRO can tell you how to detect this before any irreparable damage is done! Read more here. Sometimes disaster strikes when we least expect it, no matter how much we try to avoid it. 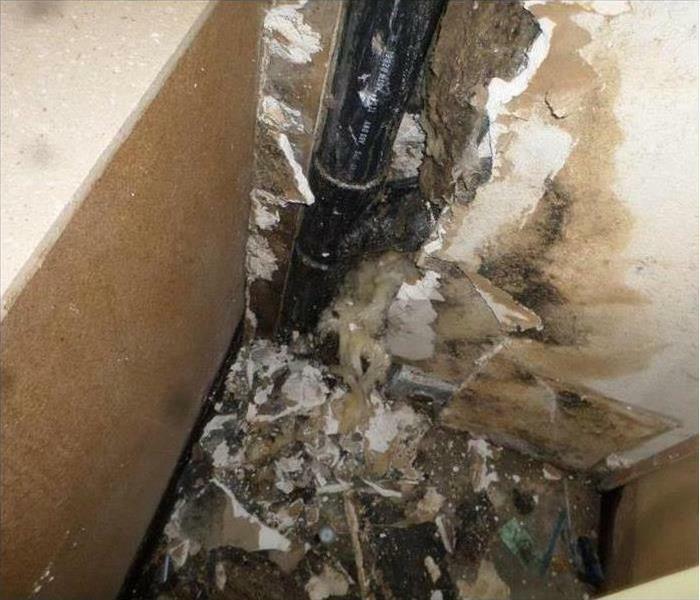 Water damage can be a tragedy waiting to happen because of the disastrous effects on your home and the costs involved! People can live with water damage for an extended period of time and be completely unaware of the danger lurking in their homes. Without professional help, water damage can spread and cause further damage to you and your family's home. We help you to understand the dangers of water damage and the risks it poses. The Dangers of Water Damage in the Home. Why is it Harmful? The biggest consequences of water is the growth of mold and fungi in the home. Mold and fungi are organisms that produce spores that pollute the air. The spores’ growth is triggered when it is in contact with water. Mold spores spread and fill the affected area with unhealthy mold growth, which will eventually begin to pollute the air. Looking out for water damage in your home is therefore very important, as the Damage can spread to all corners of your home very quickly. Drywall and other materials around the home can begin to warp and swell when it absorbs water. This can cause structural damage if it is left untreated for a long period of time. The result can be holes in walls and damage to support beams. This can be particularly dangerous if you live in an apartment that has more than one floor or a balcony. Children and the elderly who rely on the support from railings and beams are the ones who will be the most at risk. Take care of your family and those around you by detecting and treating potential water damage before it leads to a situation that can cause harm or loss to property, or worse, people. Floodwater often contains contaminants such as bacteria and viruses that are picked up from sewage overflows or natural bodies of water. This is called black water when flood water contains these harmful materials. Black water contaminants can cause illness and infection if they are not properly cleaned up and, therefore, need to be handled by professionals for effective removal. They will safely remove the black water, dry, and clean the building so that it is safe again. What are the Signs of Water Damage in the Home? Buckling floors which usually indicate damage. Pay attention to odors as a musty smell in the air could indicate that there is damage somewhere. You should be aware of water stains around windows and doors. These are areas where, when wet, could indicate that water has penetrated. Take note of any drywall that seems soft or swollen, as this could also indicate damage. If there is a bulge or change in the ceiling or walls, this could point to water accumulation. Pay attention to the color of walls: off-white or yellow stains on walls indicate potential damage. Do a full inspection if your home has recently endured bad weather such as rainstorms or icy weather conditions. Check other areas vulnerable to pipe leaks which can include the sink, refrigerator, dishwasher, the bathtub, shower, and toilet. The effects of even a small water leak on your home can have a chain effect and be disastrous. It is important to take proactive measures to contain the problem and provide long-term solutions. A leak is a problem that is best left to a professional as treating it on your own can be risky and potentially cause even more problems on the long-run. Professionals are able to detect the category and classification of water damage to ensure that the restoration of your property is based on industry guidelines. Without proper treatment and removal, water damage and the contaminants from water can cause infection and disease, along with costly and possibly permanent damage to your home. Professionals will make sure water and materials are removed safely to protect your property and your health. Flooding and water emergencies don't wait for regular business hours! And, neither do we! SERVPRO, water damage repair professionals in Oakmont, arrives quickly and starts the water extraction process almost immediately. We provide emergency cleaning and restoration services 24 hours a day, 7 days a week - including all holidays. You can expect an immediate response time, day or night. We are water removal and cleanup specialists and are ready to service your Santa Rosa home when flooding or water leaks cause water damage. We quickly dry your property using state-of-the-art water removal equipment and advanced drying techniques, documenting the drying process to make sure your property is dry and the job is done right. 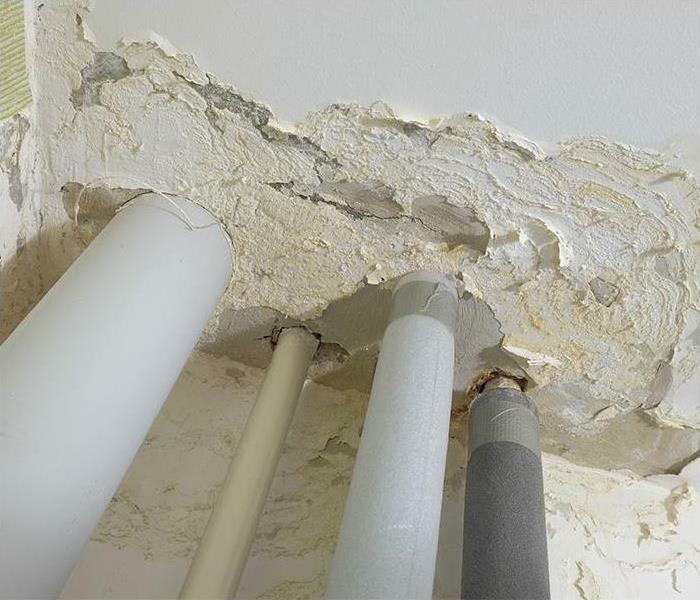 For more information on our services for repairing water damage, contact us today! Unfortunately, this industry is not regulated and there are people out there who pose as professionals or who overstate their qualifications. Therefore, homeowners should be mindful of who they hire, as an untrained technician may do more harm than good or may even delay repairs, resulting in a higher degree of destruction. 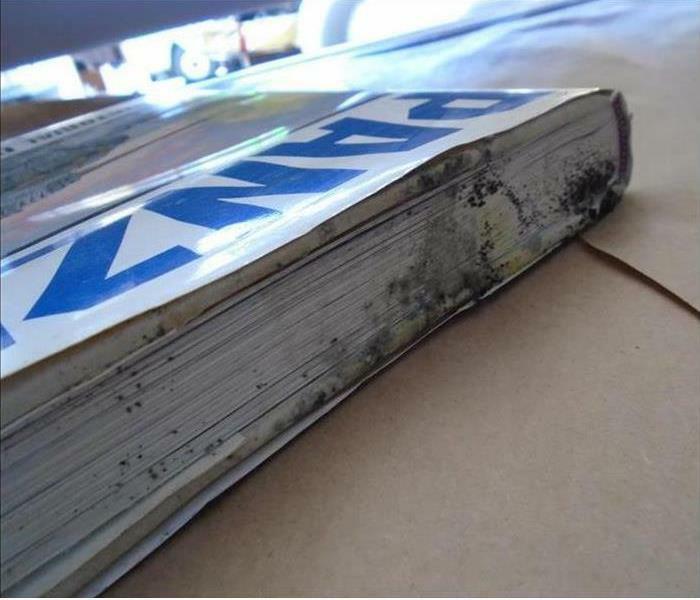 Don’t opt for the water damage repair company that ranks top in Google if they are not certified. As a homeowner who wants to protect his or her investment, you should only choose certified professionals for water damage restoration. Certification is a sign that a professional has received the most up to date training and is knowledgeable in the techniques and technologies that are used to effectively restore a home that has been damaged by water. Don’t select a restoration company solely because an insurance company has given you their details. Insurance companies often select restoration services based on price, and unusually low pricing may often suggest the company does not use modern drying or repair methods. Choose a company that offers a range of water damage restoration services. The easiest way to determine the expertise of a firm is to see whether they provide a full range of options to homeowners. Mold remediation, for example, is often needed after a property has been damaged by water, given how quickly mold can set in. If a company doesn’t offer mold remediation, it may not be prepared for all job settings. Stay away from any firm that is reluctant to start working right away. In many cases, modern drying equipment can enable near complete drying in as little as 36 hours, although many situations may require a longer period. Homeowners should not have to wait long for repairs to begin because every minute counts when there is standing water present and reputable professionals understand this. SERVPRO has been providing quality water damage restoration solutions in Sonoma for many years. Contact us for more information about water damage restoration today. As water damage repair specialists, we have rounded up the top five reasons why your home could experience water damage. Read more about it here. Home ownership comes with many responsibilities. Protecting your home against water damage might not seem like your most pressing concern, but water damage can wreak havoc on a household, making it one of the most important to-dos on your checklist. Natural disasters are still disasters. If a weather event leads to the build-up of water in an urban area, then many homes usually have to claim for water damage repair. The water damage can be caused by natural calamities, such as hurricanes and tsunamis, or it can be as a result of plumbing defects such as leaky faucets and taps as well as overflowing bathtubs. Clogged drains are a less conspicuous source of water damage that can cause a lot of damage if left unchecked. If you notice that water is backing up in your shower and sinks, then it could be as a result of your toilet that is clogged. Not only can you not use your toilet in this instance, but the sewage and bacteria should be cleaned by a professional. 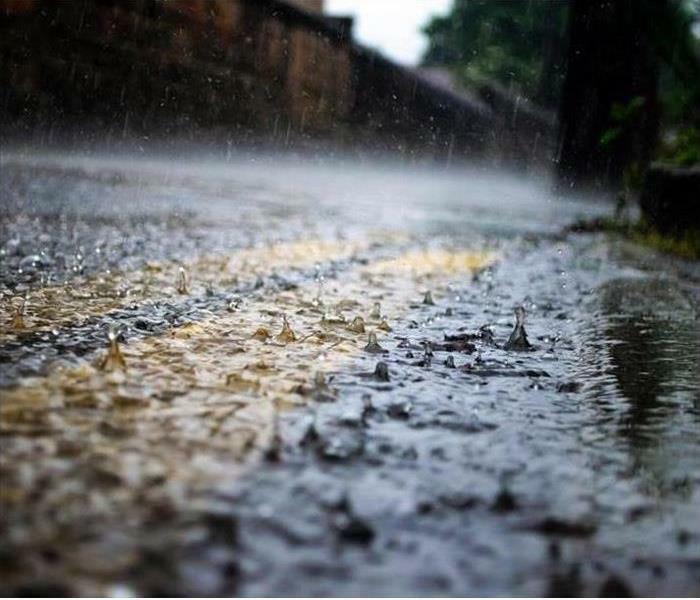 Many people ignore puddles of water behind a washing machine or on their washing room floors, but this is not something you should dismiss as harmless. Periodically check your washing machine unit to make sure that all the pipes and fittings work and that no water is leaking. Besides your washing machine, there are a few other appliances that are known to cause water damage if left unchecked. These include the dishwasher, HVAC system, and your water heater. Check for rusty or corroded valves and worn-out hoses. Remember that hoses on household appliances need to be replaced every five years. A home’s roofing system needs to be watertight. Not only can water damage to your roof compromise the foundations of your home, but it can also damage your belongings inside your home. Get a professional to check your roof’s waterproofing system every five years and check and repair broken roof tiles each season. Contact us for more information about water damage repair services in Santa Rosa and Sonoma today. People very often panic was they experience a water loss, to the point where they try and solve it all by themselves. 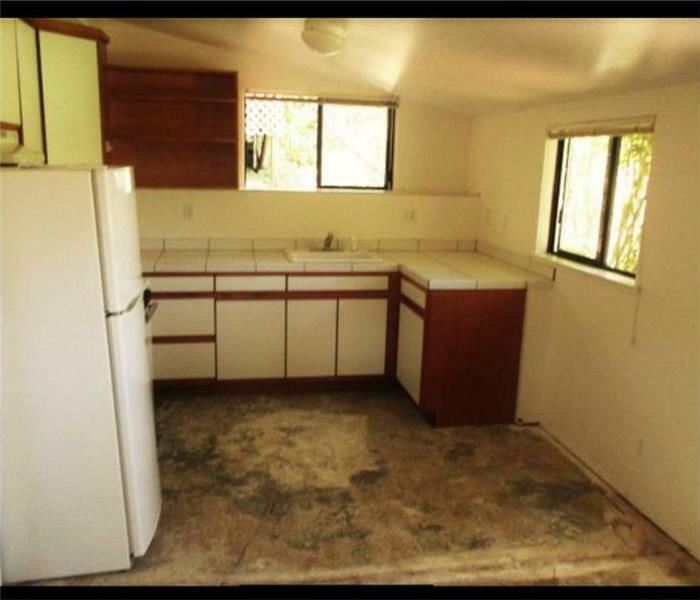 In this case a couple had a water damage in their kitchen. To cut costs, they tried to dry it out themselves. They mopped up all the water and bought a few large fans. They dried it for two days and all "seemed" dry and well. Two weeks later they could smell a stale odor. They called us to come look. We removed their flooring and lo and behold, the concrete sub floor was completely covered in mold. They owners were shocked because they thought they were in the clear since they didn't have a wooden sub-floor or crawl space. They didn't know that mold could ever grow on concrete. We informed them that all mold needs are water, an organic substance, and oxygen. Don’t let this happen to you. Whether you have a water damage or mold issues, call us for all your restoration needs! Each day we will come out and check how things are drying. This enables us to know which materials to remove from the home. If an item like the carpet or door framing isn't drying at the proper rate, we know it is not salvageable. It will then be removed before mold can begin to grow in water damaged areas. When you have a water damage, water can get everywhere but us here at SERVPRO of Santa Rosa S.E./Sonoma will follow that water and eliminate it in order to make it "Like it never even happened." The season for BBQ's, parties, and family fun is almost to an end. The last thing you have time for is a water damage. Say you're having family over and everyone is outside having a great time! What you don't know is that inside the pipe under your sink disconnects and pours water out for an hour. You can stop the leak and mop up the water but you don't want to ruin the party! Not only that, but you have family in town for a few days. Surely the water can wait a few days, right? NO! 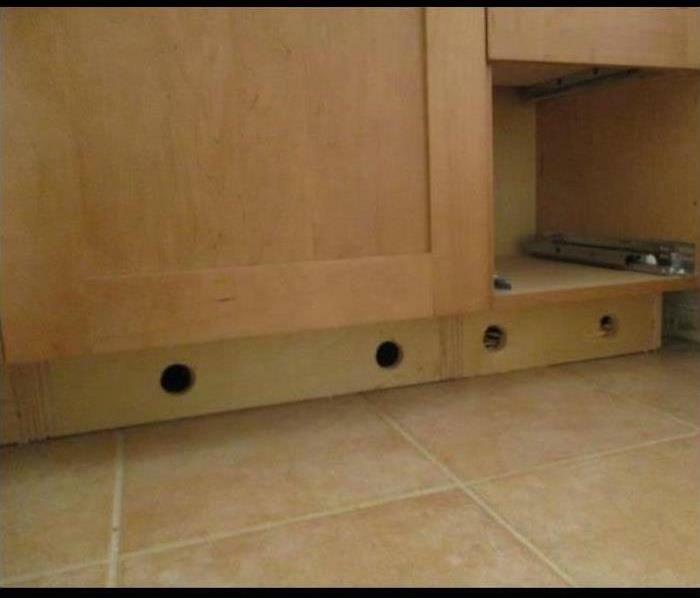 If you wait, not only will you increase your chances for mold and for your insurance company to NOT cover your loss, you will also increase the chances of losing your cabinets and having to replace them and your flooring. Call us right away and allow us the opportunity to save your cabinets as you see in this picture. This job was very complex. This poor client had to fight the dreaded trifecta! The client's home caught on fire so then the sprinkler system came on. On top of that, the fire hoses got water everywhere which then sat and eventually started to grow mold. In these situations, there are many steps our cleaning technicians have to go through to renew the items. First there is the drying out process. Then there is the process of finding the items that do and do not have mold on them. The items that have mold will be considered as "Fire Damaged" and the homeowners insurance will handle all the details that go with that. The items that have been dried out that do not have mold, will now be cleaned. Our techs will use special tools and products to remove as much soot as possible, if not all of it. After, the items that still have a lingering smell will be put in the ozone machine. Sometimes we will re-clean certain items and run it through the ozone for a second processing time. Through this entire process, we achieve the SERVPRO standard you and your family deserve. 8/29/2018 - Winter is Coming! 8/24/2018 - Fire, Water, and Mold! 8/24/2018 - Hidden Issues Are The Worst!